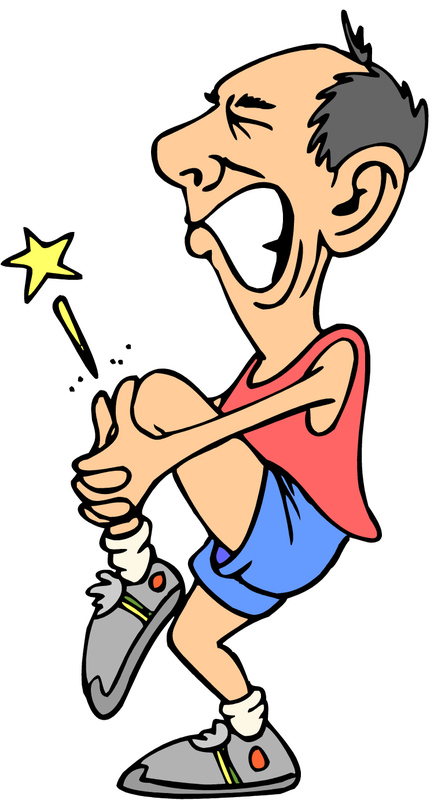 Hump Day: Solutions to simple aches and pains can be… simple! Sometimes, simple solutions to seemingly complicated problems are found by accident. Other times, we just lack confidence – and often knowledge – to fix them on our own. I’m the farthest thing you can get from being a handyman. I really admire those jack-of-all-trades who can do anything. I can barely hang a picture on the wall without the nail going all crooked. Seriously, I would hammer nails into blocks of wood when I was a kid and they’d usually end up sideways. I can assure you that you don’t want me helping you to re-shingle your roof or build your deck. You’d have to burn down the house for the insurance money. Imagine my horror a couple of years ago when I couldn’t figure out something on my electrical panel after many attempts. Finally, I swallowed my pride and called an electrician. He arrived, went in the basement, took one look at the electrical panel, showed me that I hadn’t switched the offending breaker completely off and on and then watched me as I handed him my ‘man card,’ hung my head in shame and told him to tear it up. I was unworthy. It took two seconds to fix. And yes, I paid him for his troubles. Here I was, thinking that I was going to receive some astronomical bill and have the power turned off in the house for days while a bevy of electricians worked feverishly to fix the problem. But no. One guy. Click click. Problem solved. He was richer. My ego got flushed down the sewer. With that said, I never forgot. The joys of being a visual learner! Show me something once and I usually get a grasp of it. That’s why I find online how-to videos so helpful. Whenever I’d get out of my office chair – where I spend a good part of my day – I would limp for the first few steps. It was really awful. It was OK after that, but the first few steps were always a bad limp as the pain in my knee subsided. Painkillers definitely took the edge off. Meanwhile, some online sleuthing had me either dying of blood clots, needing a new bionic knee, complete amputation of both legs from the hips down, or a relatively minor ligament injury that could be treated with some ice, physiotherapy and time. As with anyone who has searched online for medical symptoms, however, the simplest thing is never what we are certain we have. I go right to death and amputation. Sore toe? Dying. Migraine? Dying… probably soon. Eye twitch? Lie down on the floor right now because death is imminent. Before going to sleep, I would wonder what it would be like to die so young and beautiful. Being a typical man, I put off doing anything about it. Sure, I could just go to physiotherapy and get a consultation about it. I’ve been to physio before and it was amazing. “Just do this and this and this five times per day for a week and you’ll be as good as new!” Well, I did that and that and that five times per day for a week and I was indeed as good as new! It worked before, I’ll call tomorrow. As you can imagine, tomorrow never came. Typical man, I tell ya! So between all these concerns about multiple amputations, certain death, watermelon-sized blood clots travelling to my brain, and never walking again, I decided one day recently that it would be a good idea to raise the height of my office chair a bit. It was at its lowest position. I pulled the hydraulics lever on the side and the chair rose a few inches. I sat down and felt comfortable – really comfortable. ‘Well, that’s nice,’ I thought. Eventually, I stood up and assumed I would limp for a few minutes again. Nope. Nothing. No pain. Yes, I raised the chair in my office and it cured my pain. Now, you’d think that I would have perhaps thought of that before, considering I’m practically tied to my office chair most days, but no. I didn’t. I’d been suffering and worrying for weeks. One pull of a little hydraulics lever on my office chair and ta-dah! Cured! At least I saved the health-care system some money. If you’re sick, I hope your cure is just as simple. The Aug. 22 – Sept. 11, 2016, edition of Brian Cormier’s Weekly Update is out! Hump Day: Would you believe it’s Swiss lettuce and raisins with wings? This is the time of year when the bountiful harvest starts rolling in. There are so many fresh berries and vegetables around that it’s almost too much to contemplate! Seeing all that wonderful food definitely makes one want to eat better or – at least – start your own garden. Personal and community food gardens are a fantastic idea. They allow people to reconnect with their food sources and be more self-sufficient. We had a garden at home growing up. We didn’t have a lot in it, but we always managed to scrounge up a few string beans, carrots, cucumbers, ‍lettuce and other goodies here and there. The neighbours on either side of us were absolutely crazy about their gardens and dedicated most of their back yards to them. We probably got their leftovers, actually. They had serious gardens, let me tell you! They spent a lot of time outside in the summer weeding and tending to their vegetables. It was pretty impressive. Personally, I don’t have the patience for a garden. I know they’re amazing and I applaud those who love growing them. And I certainly love receiving fresh vegetables from those who have too much to use themselves. Truly, the taste of a fresh garden-ripened tomato is heavenly compared to one that’s been trucked from a million miles away or grown in a hothouse. There’s just no comparison. 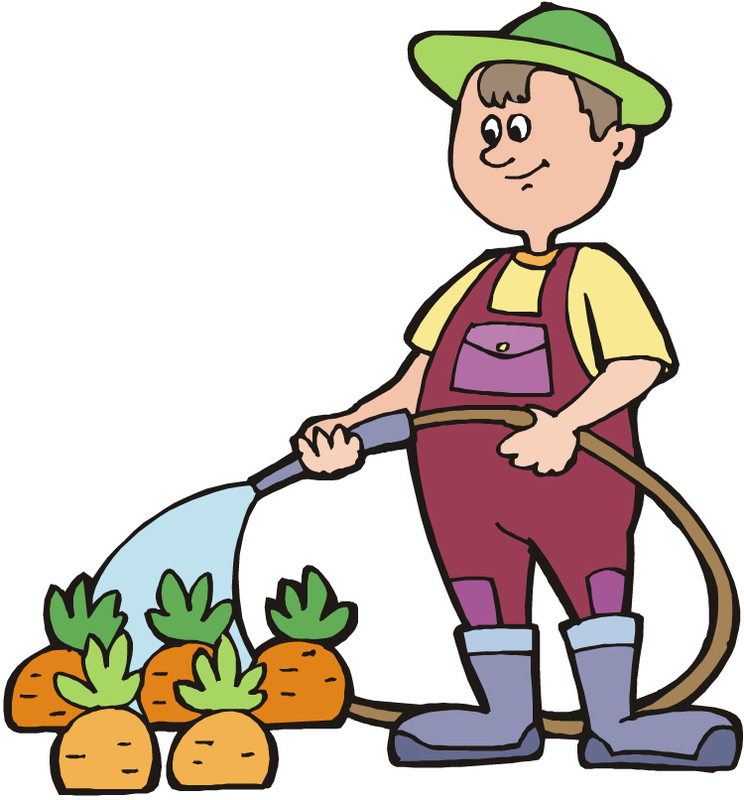 If I had a garden, the only thing I’d be harvesting is weeds (that’s with an ‘s’ – not the singular form of ‘weed’ – although I’m sure it would be more profitable… and popular, too!) What I would manage to salvage would probably be half eaten by insects, although I could try to convince people that the ‍lettuce full of holes on their plate is called ‘Swiss ‍lettuce’ – along the lines of Swiss cheese. Hey, lying is only a sin if it hurts someone, eh? Like many people, my grandparents and earlier ancestors all had gardens. My father told me that my grandparents used to keep chickens in downtown Moncton long before it was the ‘cool’ and ‘urban chic’ thing to do. Of course, they weren’t just used for eggs back then. Let’s just say that it wasn’t a good idea to get attached to any one of them. My grandparents on P.E.I. kept a large garden, of course – and it was probably much larger when they were raising their family. When I was a kid, I remember they still had cows. I don’t remember any chickens, but there was an abandoned chicken coop on the property used in years past. My grandfather would let the cows out for pasturing and they’d barrel out of the barn and I’d go running in terror, certain that I would be trampled to death. Although I didn’t know it at the time, I’m sure a few of them ended up on the dinner plate, too. When I got older, I never bothered to ask. Sometimes, ignorance is bliss. I’d never be able to raise animals for food. I’d be the worst farmer on the planet. Every cow would have a name and a pink barrette in her hair. I’d probably allow them in the house and even let them sleep on the sofa. A barn? How cruel! By the time I’d give in to that fact that it’s time to turn them into a nice Sunday dinner roast, they’d be so old that they’d be too stringy to eat. It would be like eating an old tire. Might as well let them live then! Enjoy the sofa, Bessie! A meal at my place made from my gardening and animal husbandry skills would consist of Swiss ‍lettuce with a side of flies. I suggest that you bring your own pizza. Gardens provide a sense of pride and self-sufficiency that you grew something that can sustain you. If you had to, you know you could do it. I’d just be out there gnawing on tree bark and grabbing delicious slugs out of skunks’ paws when they’re digging up my lawn in the middle of the night – and then running away before they could spray their perfume on me. I think I’ll just stick to farmers’ markets, butchers, fish markets and grocery stores for my sustenance. My tonsils will love me for it. Well, the Olympics are happening now in Brazil and sports fans are tuning in to see how many medals Team Canada racks up until the games end on Aug. 21. The world will see records broken, as well as triumphs and tragedies throughout the event. We’ll cheer the victories and admire the fact that these world-class athletes are seeing their dreams come to fruition. Really, though, why should they have all the fun? Just because they’re in shape, have abs you could grate cheese on and are adored and envied by their countries doesn’t mean that the rest of us should be relegated to simply watching them on television, eh? After all, couch potatoes have rights, too! Let’s all stand up and demand that we get a chance at all those lucrative sponsorship deals, too. Maybe my face wouldn’t be on a cereal box or pair of high-tech running shoes, but who’s to say that my cherubic profile wouldn’t sell a few jars of industrial-strength zit cream or be featured on a commercial for extra-strength toilet bowl cleaner? Hey, a boy can dream. I’ll just cross my fingers and wait for the telephone to ring. My minimum fee is $20 and a coupon for free pizza, preferably not expired. Seriously, though, shouldn’t there be a separate Olympics for couch potatoes? The five-metre run to the bathroom during a commercial break? First one in, out and back on the sofa wins the gold medal! Oh no! The judges noticed that Bubba down the street didn’t wash his hands! Disqualified. Welcome to the newest member of the Couch Potato Olympics Hall of Shame. And Bubba loses his lucrative itch-cream ointment sponsorship deal. The driver’s patience competition would definitely do me in. Whoever can hold out the longest behind a slow-driving car without beeping their horn wins gold. I can guarantee you, I’d lose. ‘And there’s the starter’s gun… and oh my goodness, ‍Cormier is already disqualified after 11 seconds for blaring his horn, making rude hand gestures and telling the slow driver to ‘get a life and get off the road!’ Oh, the commentators would have a field day. I just hope the networks are using the seven-second delay and have their fingers on the beep button to drown out my colourful language. I wouldn’t do too well at the competition where I have to sit in back of a stopped car in a merge lane, either! The television coverage would just be one long beep and they’d have to cut away from the scenes of me slashing tires. 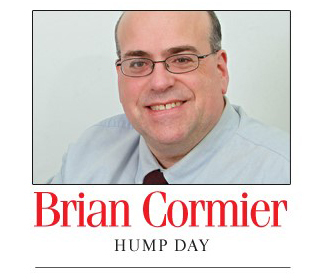 ‘‍Cormier is slashing the tires, folks! 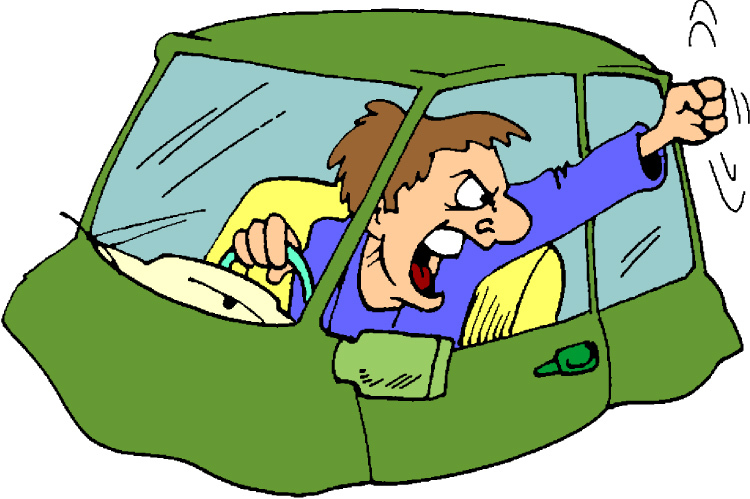 The other driver stopped in the merge lane and ‍Cormier just jumped out of his vehicle, ran over and started stabbing those poor tires. Oh, the humanity!’ Hey, in my defence, if you’re going to slam on your brakes in a merge lane, you don’t deserve tires. Drive home on your rims! Then, of course, there’d be the competition to see who could hold off on a disgusted sigh the longest when they’re in back of someone at the grocery store who’s paying for their entire order with the nickels and dimes they’ve been collecting in a jar over the past year. Again, in that scenario, the television commentators would have a field day with me. With smartphones now being part of everyone’s lives, a major Olympic event for the ‘rest of us’ would surely be where we check our text messages while driving without being noticed by others around us. For the record – seriously – my smartphone is not used while I’m driving. I’ll accept hands-free telephone calls through my vehicle’s Bluetooth connection with the phone, but that’s about it. When I see people checking their email while driving or while parked at a stop light (still illegal, folks – seriously, look it up! ), I always roll my eyes at the lengths people go to in trying to hide what they’re doing. Listen, the fact that you’re behind the steering wheel and looking down between your legs is a pretty clear giveaway that you’re checking your messages – at least that’s all I hope you’re doing. Unless you have a diamond-studded tiara on your head and people are calling you ‘Your Majesty’, there’s likely nothing so urgent that you can’t wait until you’re out of the car. As you can see, there are many Olympic-style competitions out there for us regular folk. I admit, though, that if patience ever becomes an Olympic sport, I won’t even bother to train. We all have to realize our own weaknesses. Now, if you’ll excuse me, I have some tires to stab and loud sighing to do. The Aug. 8-21, 2016, edition of Brian Cormier’s Weekly Update is out!